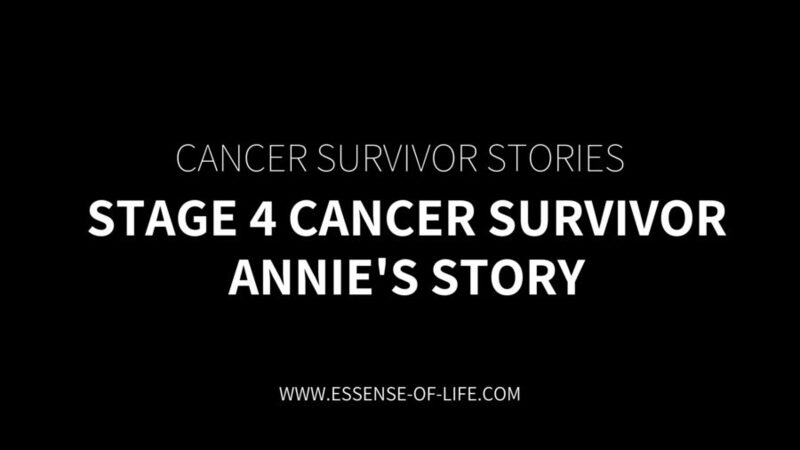 Annie is a stage 4 cancer survivor. In 2010, she was only given 3 weeks to live. Her doctor told her that there was nothing that they could do for her. She decided to take matters into her own hands based on her research. 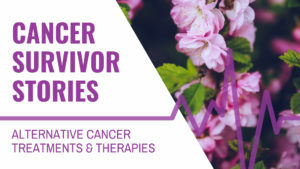 This is a series of interviews with real cancer survivors who have used a variety of alternative cancer treatments and therapies to overcome their cancer diagnosis. The transcripts of these cancer survivor interviews are provided in their own words, and represent their individual experiences, opinions, and personal views. These results may not be typical and may not reflect the average experience. The statements and testimonies in these interviews are strictly personal. Essense of Life does not necessarily share the same opinions or views as our customers. These testimonies are not to be construed in any way to claim that dietary supplements are intended as a treatment or cure for any disease. Essense of Life does not condone the use of our products beyond the labeled indications. Always consult your doctor before starting any dietary supplement protocol. The purpose of this series is to provide an outlet for people to share their stories with others, and is strictly for educational purposes only. These interviews are not an endorsement for any particular product or protocol – most people use a combination of approaches to find what works best for them. This is a personal account of one individual’s experiences with alternative cancer therapies. Results are not typical, nor guaranteed. Annie was diagnosed with stage 4 metastatic cancer in the stomach, liver, lymph, adrenal, pancreatic cancer, lung, and brain and was sent home to die. Read her amazing story about how she became a cancer survivor. Larry: Alright I have Annie. Annie, what part of the country are you from? Larry: And you have a story to tell. Larry: What story do you have to tell? Larry: Not a very good outcome is it? Neither Dr. Sartori nor Dr. Warburg earned Nobel prizes for curing cancer with cesium chloride. Otto Warburg did win the Nobel Prize in Physiology and Medicine in 1931 for his investigation of the metabolism of tumors and the respiration of cells, particularly cancer cells. He wrote The Prime Cause and Prevention of Cancer based on his years of research and was nominated for the Nobel Prize award 47 times over the course of his career. H.E. Sartori, M.D. researched the affects of diet and nutrition on cancer occurrence. He wrote Cesium Therapy in Cancer Patients in 1984 about a study he conducted using cesium chloride therapy on 50 patients with cancer. Larry: Yeah. It’s a cycle. Larry: I found out that…been led to believe it’s actually the immune system that kills the cancer cells. It’s the cesium that actually creates a problem in the cancer cell that causes the immune system to attack it. Don’t you agree? Larry: Yeah, that bottom line. Larry: Did you ever try any other therapies. Larry: So how long did you stay on the therapy? Larry: So it’s not a quick fix? Larry: Yeah I think that a lot of the information online about the amount that you should take is completely wrong. 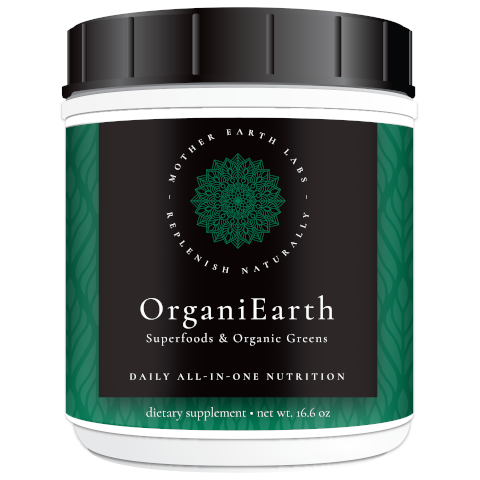 I believe you shouldn’t take more than 3 grams a day and then sometimes a lot let depending on your body weight. Larry: Right. And you would say that a diet is a big portion of that right? Larry: Yeah, you’ve got to have the protein. Larry: Exactly. But it can be plant-based or animal-based. Larry: What kind of side effects did you experience while doing the therapy? Larry: Did they eventually go away? Larry: Go ahead, I’m sorry. Larry: That’s good to know. Larry: So, what condition are you in today? I mean, are you cancer free? Larry: Do you continue taking the products to some extent? Larry: So how do you feel about other people trying this therapy? Larry: Yeah I know President Trump made some sort of ruling where people in the last stages of cancer, when there was no hope given, they could try experimental things that weren’t proven by the FDA yet. I would hope that this could be one of them because you know it works, you know. It works. Larry: So I’m hoping that they will rule that alternatives would be allowed to do them just as well as the experimental drugs that the FDA hasn’t approved yet. Larry: Yeah, but you do have to watch your potassium levels, right? Larry: Right. You’re absolutely right there. And there’s a lot of these, I call them fad diets, that are promoted for people with cancer can actually put people into a cachexic state. Because they’re not paying attention to the reason that you do fall into that cachexic state. So it can be dangerous by following some of those diets that claim to be good for people that have cancer and actually aren’t. “Yeah. No I agree. I’ve seen many ads for “If you just do apple cider vinegar for a week it will cure all your cancer”! Larry: What do you think about the 24 hour cancer cure? Larry: So what would you say to the people that are listening to this as your last statement. Larry: Well hey I really appreciate you sharing your story and everything and I hope that you stay cancer free the rest of your life. Larry: Okay dear. Well thank-you very much for your interview and thank-you for letting me share it with others. Okay? Larry: Alright you take care and you have a great day. 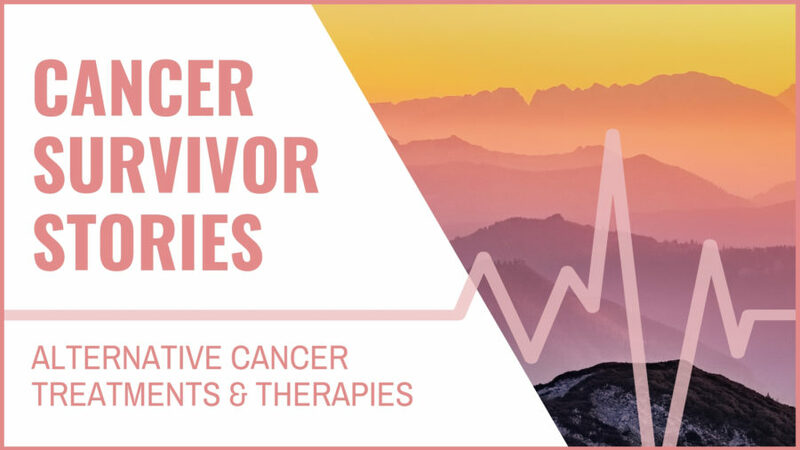 Are you a cancer survivor? Do you have a story you want to share? We’d love to hear from you about your experiences with alternative cancer treatments and therapies. Please contact us here. Alkaline Diet for Weight Loss: Hollywood Hype or Real Deal?